It happens every day, thousands of times a week. A veteran, a police officer or a civilian opens a box. They find their freshly American made leather holster. 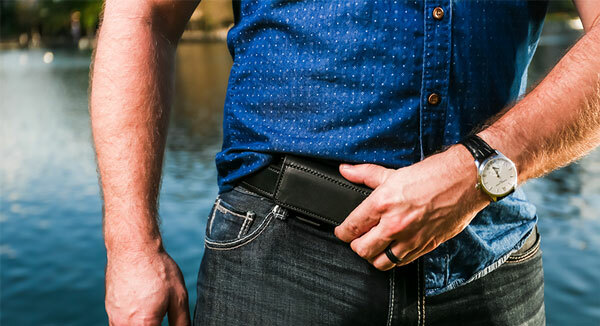 The leather softens after a few days and many of them contact the proud staff at Urban Carry simply to thank them for making Concealed Carry so easy and comfortable. That's what we believe in, that's what we stand for. At Urban Carry we know if something is uncomfortable or difficult we as humans tend to avoid it. We don't want anyone doing that with their safety. We fundamentally believe that the more honest people willing to take a stand against crime and terror the less it will exist. The greater the shepherds the weaker the wolves. We believe in making ways to keep the citizens of America, and the world, safe by helping you keep your safety something simple and comfortable to achieve. We make sure everything we do honors that belief. From the quality of materials we use, the unique designs we develop and test, the training we provide, to the amazing staff that answers your questions. Any part of this industry we touch we do what we can to make it even better. This way you, your friends, your loved ones and many others can walk the streets with confidence knowing they are not the sheep, they do not fear the wolf - they are the shepherd. There are a number of basics and essentials you should know before you start to conceal a firearm around your town.